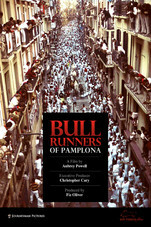 A recent release from U.K.-based Journeyman Pictures, Aubrey Powell's Bull Runners of Pamplona captures all the excitement, intrigue and attraction of the eight days of the Running of the Bulls. For anyone with risk-taking tendencies, such as this writer, the Running of the Bulls is one of those "bucket list" activities that practically leaves you breathless every time you think about it. Breathless is a terrific word to describe Powell's film, which was shot in HD and beautifully captures both the spectacle of the Bull Run and everything that surrounds it. As beautiful as is the photography here, where Bull Runners of Pamplona really excels is in capturing the passion and excitement of the participants. The film lives and breathes through the faces that light up and the expressive bodies of those who share their stories and speak with such excitement that you can't help but get caught up in their spirits. The film is both universal and intimate, capturing the event's history that traces back to the late 14th century and the wonderful family traditions that exist as fathers and sons and daughters hand down participation to one another. Much as is true for any extreme sport, there are prices to be paid and controversies to be experienced with the Running of the Bulls. When the event began, animal rights activists didn't exist and nobody thought about such issues as insurance and healthcare. In contemporary times, however, each event is met by an increasingly fervent community of animal rights activists who believe the Running of the Bulls has no place in a contemporary society. Similarly, while it has long been acknowledged that some will be injured and even killed during the Running of the Bulls, such a price to pay is now considered to be controversial even though a good majority of the participants accept the risk as part of the experience. Powell does an excellent job of capturing every aspect of the Running of the Bulls while presenting it with camera work that is simply stellar and a devotion to his interview subjects that is respectful and reverent and filled with life. 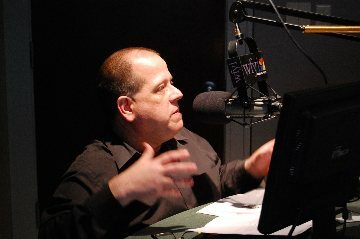 The film was an official selection of the Seattle International Film Festival before being picked up by Journeyman Films for release. For more information on the film, be sure to visit its official website at Journeyman Films.